Do you know what crossfit is and why it is good? An uninformed amateur can give a general phrase that this is a system of physical training. A sports expert can say that this is a type of training that not only involves almost all groups of muscles and is suitable for any person regardless of level of training, but also improves the quality of life. However, if you want to get a more detailed and competent explanation, you will probably need an Internet search engine. 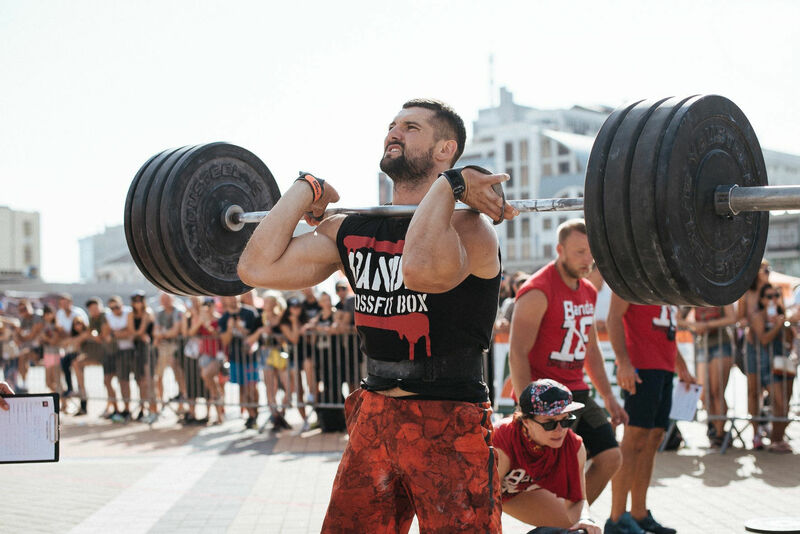 We decided to take it easy on you and asked the most relevant and specific crossfit questions the experts who have reached success in this sport and who you can see live in the third international crossfit tournament Kyiv Battle, the final stage of which will take place on February 2-3, 2019 at the exhibition center “ACCO International”. Our hero today is Volodymyr Tysaniuk, a certified CrossFit Level 1 Trainer (СF-L1), winner of Ukrainian crossfit competitions, certified CrossFit Judge, training experience 7 years. – Tell us about your experience – how did you come to crossfit? Where did it all begin? – My story began back in 2013 when I had the chance to come to a crossfit competition. I was simply mesmerized by the strong guys who could easily lift heavy weights, do a handstand walk and double unders. When I came home, I watched about a thousand video clips on the subject on the internet, I was trying to repeat something for a month, but it was hard. In half a year I came to an open crossfit training at a Reebok store, Oleksandr Kravchenko was coaching it. The complex there was not hard, and I came the winner among the guys at the training. I enjoyed the pleasant feeling of tiredness, knowing that you are giving more than 100% of your abilities, that there is competition, audience, music and scoreboard. Two months later Oleksandr Kravchenko invited me to perform at Kiev Athletics Challenge 2014. I thought: why not, I wanted to at least try what it’s like. There were 36 guys and I came to the final stage taking the third place in the qualification challenge. It was a very cool result for me, since I didn’t even hope to be among 12 best participants to compete the next day. After this competition lots of things changed in my life, over the past four years crossfit and training have been number one priority for me, I’ve been to many places, met new athletes. My physical shape has changed significantly, and I got more professional in coaching. Overall, I enjoy this hard work since it has given me lots of new skills. This approach also helps me to properly focus and solve problems in life. – Why do you need crossfit? – This is probably the most useful type of activity and fitness that helps you recover your motor activity. Young children can do push-ups, squats, pull-ups because they move a lot and do it naturally and properly. Over time a person develops a “three chairs” problem – we sit at work, in public transport and at home in front of TV. This significantly decreases the motor activity of a hip joint. As a coach, I can say that the basic crossfit exercises include squats, box jumps, pull-ups etc. So basically a crossfit workout involves all 655 muscles and add another 17 muscles when you smile after a workout. When it comes to functional trainings at a gym, groups classes such as step or aerobics, I think they are more appropriate for physical rehabilitation or simply an enjoyable activity. I know what I’m saying, because I myself have been involved in many other sports. Always remember that a knife in the hands of an expert is an art, but in the hands of an amateur it may lead to cuts and injuries. Therefore, it is important to choose a good coach and develop in the area of physical culture – learn about workload, nutrition, communication etc. As an athlete, I can say that crossfit combines various kinds of sport that can make you stronger, better and even more beautiful, since an athlete’s appearance usually brings aesthetic pleasure. 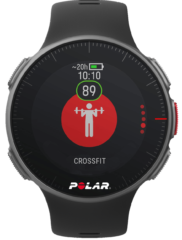 – How can one become a crossfitter? Can anyone do it or do you need some special skills? – If a person has any background, they’ve done powerlifting, athletics or gymnastics, have a certain class or the category of candidate of master of sports, then it would be easier for these athletes, since they already know how to follow a regime, set goals and reach them, know how much time progress takes. However, a special feature of crossfit is that anyone can do it, even people with physical disabilities and limited mobility. If an amature lacks something, for example, doesn’t know how to do a handstand walk, bar muscle ups, pull ups, he/she can gradually learn it, get the skills, since there is always a progression – goings from simple to more complex. While I was coaching, I’ve had situations when a 48-year-old person couldn’t do a pull-up on a bar, but two years later, after exercising just to keep in shape, the same person could do muscle ups and kipping handstand push-ups. – How do coaches work out? – Most often I combine working out in a gym with running at a stadium, working at functional studios, powerlifting gyms, cycling, swimming in a swimming pull and open waters. It is easy to prepare for competitions in Kyiv and other big cities since there are rivers and other bodies of water. You can also add rock climbing, running through obstacle courses etc. Lately it’s becoming more popular among athletes to participate in triathlon competitions. They usually demonstrate average results or results above average, but what matters is having a chance to prepare, not achieving results. – What type of clothes is best for a workout? Are there any special requirements? – I prefer Reebok, all of my clothes is from this brand. They have comfortable shoes both for running and working with a barbell or rope jumping. Rope climbing calls for socks, and they should be higher than usual to prevent your ankle from blistering. When you are doing squats or working with weights, you need neoprene knee sleeves. Then you need leggings or underpants that would keep your thighs warm and absorb sweat. The Reebok company also produces very good high quality shorts for rope climbing, working with barbell, and they take into account lots of details that are important for an athlete. Besides, they are very comfortable, light, practical, they stretch well and are easy to wash. Athletes often can do without a t-shirt, you can use a thermal long-sleeve in winter, since it would also protect your shoulders and elbow skin when you are doing ring muscle ups. I also use gloves since I work out 2-3 times a day. They can’t protect you from blisters, but they can protect you from infections in case you get a sore. I always use elastic bands for wrists and I prefer thick sturdy bands made of fabric. What do crossfitters eat? Do they keep a special diet? What is important when it comes to nutrition? – The topic of nutrition is always very controversial, because today one theory is popular and tomorrow another one takes its place. Some believe that you should eat more protein and vegetables staying away from carbs, others think the exact opposite. Some prefer simple carbs, other choose complex carbohydrates. I personally do not count my calories. When I am doing powerlifting workouts, I try to eat more protein that is required for muscle growth and their quick recovery. I have four meals a day and use protein bars or cocktails for snacks. I have lots of experience, so I myself can feel when and what my body needs. I always eat lots of vegetables, you can never have too much vegetables. When we went on a tour of Turkey and Spain, I was eating tons of vegetables just for an experiment. They improve digestion, provide your body with vitamins and minerals, but they don’t give you lots of energy. Energy comes from pasta made of durum wheat, buckwheat or rice. I can give up meat, but I always eat those ones. You should avoid different sauces, salt and pepper, since they make it harder to breathe during a performance. I also almost gave up sweets. But your body craves sugar after heavy workouts, so sometimes I make myself have some marmalade, marshmallows or oatmeal cookies and I rarely eat chocolate. And, of course, you need to drink a lot. When it is getting closer to the competition and you are working on your endurance and not strength, start cutting on the size of your meals to ensure easier movements. – Crossfit for girls: is it good or bad for a female body? – Of course, it is good if you have a reasonable approach. If a girl finds a good coach, in half a year she would be able to do a handstand walk, do all kind of stands, splits, bridges, have a better coordination and flexibility. Ability to work with light weights with a beautiful and proper technique greatly improves motor activity, grace, aesthetic appearance, and so on. – Can crossfit be considered a weight losing tool for girls? – Yes, of course. Besides, it is good at preventing weight fluctuation. Crossfit is an excellent indicator of the amount of food a girl consumes. If she eats too much, it would be hard for her to breath, if she doesn’t eat enough, it would be hard for her to move. This sport makes you eat regularly and helps you avoid gaps going from having excessive food to not eating enough. If you eat once a day or have a few fasting days a week, for example, eating just water and apples, you are causing stress to your body, therefore when you start eating again, you gain more weight than you lost. This causes people to lose motivation of doing sports. Crossfit, however, improves motor activity, coordination and consequently improves your metabolism and levels of hormones. Nowadays not only coaches, but also regular athletes try to get more informed in this area by attending various lectures and workshops. – If a girl is dating a crossfitter, what could she give him as a present? What would you like to get? – I want swimming goggles (smiles). And you can get elastic wristbands as they have a wide variety of those, or knee sleeves. I think it would be a proof of the fact that a girl cares for her boyfriend and wants him to be safe. Another good gift idea is a powerlifting belt, I now have a really good Reebok belt. Another cool gift is Reebok crossfit shoes Nano 9, which are coming to the market in January 2019. But make sure you get the right size (smiles). – How do you keep doing crossfit and where do you find motivation? – Motivation steps in when you can see the result. If your goal is realistic and proper, it will definitely yield the result – it being improving your body aesthetically or improving your endurance, strength, coordination, flexibility etc. A coach can help you with that. If you need motivation, simply do it and do it right, and you would need an expert for that. Another thing – divide it into minimum, medium and maximum goals, that way you would always have motivation to work. Sometimes you don’t want to go to a training, then you should get rid of your emotions and excuses and simply go out of habit. During the workout you get involved and you are bursting with pride and self respect afterwards. – How can you get a crossfit coach certificate? – There are plenty of courses, some organizations have them every months. They give you good knowledge There are good courses organized by guys from Mykolaiiv and Odesa, there you can learn everything about crossfit and gain understanding of physical workload both for personal use and for coaching. However, crossfit has a rule that you can call yourself a crossfit coach only if you go through Level 1 certification – it is licensing held by coaches from America organized after a two-day workshop and test. These courses cost about 1,000 USD and they can only be held at an affiliated gym. Everything else is counterfeiting.